When a person becomes injured, or gets very sick, they need to see a doctor. This might involve an expensive ride in an ambulance and a big bill to pay. A person who lives in a rural area might not have a local doctor. Telemedicine is a way for a remote patient to be assessed by a physician. Nomadeec has created a solution that is the future of telemedicine. 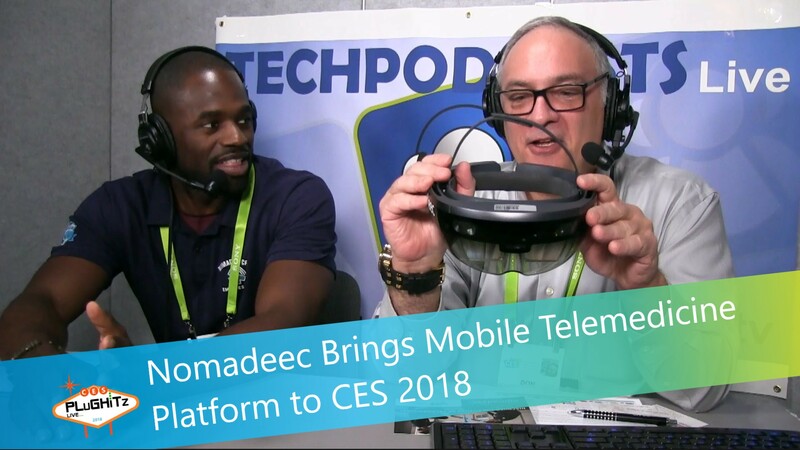 Don spoke with John from Nomadeec at CES 2018. Nomadeec is the first integrated, connected and mobile solution for clinical examination for all field practitioners. They are based in France, where their system is already being used. Nomadeec will arrive in the United States in the beginning of 2019. John explained how the Nomadic solution works. A person requires medical attention. An EMT is sent out. The EMT is wearing a specialized headset that has holographic functionalities and video conferencing. The headset is hands free, which allows the EMT to keep their eyes on the patient. Everything that the EMT sees is sent to a physician - who is not at the scene. The patient receives an expert opinion on their medical situation. Nomadeec works in a business to business capacity. Their entire platform is $15,000.